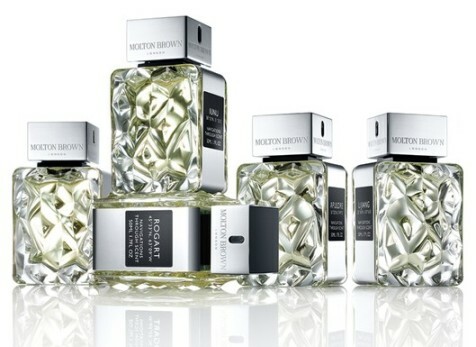 A well-engineered scent can whisper inspirational stories to its wearer, weaving tales of history and geography from top note to base and this debut fine fragrance collection from Molton Brown has been attuned to achieve just this. Navigations Through Scent is a five-piece collection scheduled for nationwide launch this September. The line up traces the influence of the ancient spice routes, drawing inspiration from key focal points along the trail. The journey begins in the Egyptian Ancient World before moving through both time and history, settling in the New World, Canada. Each 50ml bottle imparts scents that are indigenous to the regions from which they take their name. Indeed, Jennifer Jambon, Molton Brownʼs Principal Perfumer, spent a year researching these destinations to uncover a host of unusual scent ingredients that would evoke emotions and memories reminiscent of these faraway lands. The collection appeals to my inner armchair-geographer, I could spend hours looking at maps, infact, I still remember the day I discovered Google Earth for the first time and the hours I spent poring over the locations in all their satellite glory. So, of course, the first thing I did when I received the information about Molton Brown’s new endeavour? I fired up Google Maps to discover more about the inspirational places behind each scent! Quite possibly the most geekiest thing I’ve done to date. Possibly. Iunu, buried under modern-day Cairo starts the ancient journey with a lead ingredient of Egyptian Jasmine and a distinctly rich floriental musk. My favourite from the collection, feminine and a touch animalic. Lijiang, inspired by China is a musky floral featuring Osmanthus absolute. A prized, high-value oil. Described as combining the light, delicate softness of silk with crisp tea. Singosari takes us to Indonesia, historically part of the Spice Islands. Patchouli plays a lead role in this sensual and feminine fragrance that evokes the spirit of tropical rain and exotic spice. Apuldre, the old Anglo-Saxon name for Appledore in Kent. Inspired by the green-aromatics of the English countryside and featuring a hit of juniper berry (think gin!) on a base of leather. A mischievous scent and the most masculine from the collection. Rogart, Nova Scotia marks the end of the journey to the New World. A juxtaposition of coniferous wilderness with the woody warmth of maple syrup makes for a deliciously Autumnal fragrance. My 2nd favourite from the collection. * signals the key ingredient native to the fragrance’s geographical inspiration. If you can’t wait until the nationwide release in September, the brand will be releasing the Navigations Through Scent collection exclusively at Harrods from August. * Disclosure: I was given a set of sample vials at a recent press day. Hm, I’m a little disappointed that all of these seem to feature more floral scents, which I like but I tend to favour more fruity scents. You’d think in a 5-piece collection it may have crossed their mind to be a bit more diverse with their inspiration, for example I was expecting Apuldre to feature a touch of a crisp apple. Then again my ideal perfume would bring back memories of sitting in Devon in some frilly, old fashioned out-side café sipping on the most delightful lemon tea while scoffing down some freshly made scones filled with locally made clotted cream and cherry compote.